What are high oleic oils? The food industry profits by selling foods made from inexpensive ingredients with long shelf lives. 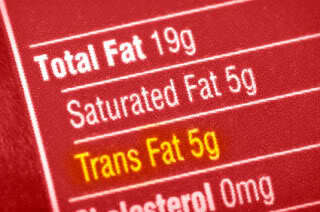 Not all that long ago, transfats were added to our foods because they fully met these requirements. Then, in the 1950s, studies began to show that transfats were not healthy but, lacking definitive proof of problems, transfats remained in our foods. By 1996, scientists estimated that transfats had caused some 20,000 deaths. Faced with a threat of an outright ban on transfats and the fact that customers no longer wanted transfats in their foods, the food industry realized it was going to have to reformulate its fats. They began looking for a replacement for transfats. Initially, many simply increased their use of sunflower and safflower oils. These plants grow easily in a Northern climate; their oils are relatively inexpensive and are quite high in omega-6s, which provides a high heat tolerance and a long shelf life. But the food industry needed more. The rush was on to use a variety of cutting edge hybridizing techniques (such as radiation and chemical mutagenesis) to create seed varieties very high in a particular type of unsaturated fat (MUFA, monounsaturated fatty acid) and also very heat stable. High oleic sunflower and high oleic safflower oil came to market first, but high oleic canola, high oleic soybean, and high oleic corn oils are now vying for their share of their of this lucrative market. In summary: High oleic oils are oils made from new varieties of plants. While they are hybrids rather than genetically modified plants, they are not created by the use of traditional methods, instead radiation and toxic chemicals are used to speed up the process. No one has eaten these varieties for any length of time and this is a red flag for me. We know which foods are healthy, which spices, and which herbs are beneficial based on a long history of humans ingesting them. Instead of gold standard double blind medical studies, we rely on thousands of years of use to guide our choices. I am always skeptical of any food that does not either have traditional usage or solid medical research data proving safety. And there is a basis for my conservative view. A recent New York Times article confirms that as we hybridize plants to get sweeter vegetables that travel and store well, we consistently trade off one benefit for another. And often what we lose is nutrition. A sweeter hybrid berry is lower in omega-3 fats than an heirloom berry. An apple hybridized to travel well has fewer antioxidants than an heirloom variety. That, of course, raises questions about the changes they are making to the fat ratios of our soy, canola, corn, safflower, and sunflower seeds. What other changes occurred in the seed hybridized with radiation and toxic chemicals. Do we know? We do not. We do not even know that a sunflower seed oil with a higher MUFA content is better for us. The assumption that it is better comes from research showing that olive oil with a high MUFA content is healthier for you than margarine filled with transfats. We assume that yet more MUFA is better simply because we tend to believe that more is always better. The fact that we do not know that more MUFA is better is a problem. The fact that we do not know what else may have changed in the oil seeds as scientists selected for higher MUFA content is a bigger problem. The third strike comes from the nature of the companies working to create and market these oils. The big players in this arena are: Cargill, Archer Daniels Midland, and BASF. The former are two of the big players in the Corn Refiners Association (CRA), said to use tactics such as threatening to sue cooperatives like PCC for informing the public of research linking high fructose corn syrup and fatty liver disease. BASF is a German chemical company. I am reluctant to accept assurances from these companies that their new creations are healthy innovations that I should include in my diet. 1. High oleic oils can be used both in the deli and in high heat frying. So stores such as Whole Foods, PCC, and Safeway can use the same oil in their deli salads and in the deep fat fryer or skillets. They only need to stock one oil and can buy it in greater volume which saves money. 2. High oleic oils are less expensive that traditional oils such as EVOO. 3. If high oleic oils are used, the oil in the deep fat fryer does not have to be changed as often. Fish can be fried in the oil and then chicken can be fried in the same oil without the chicken taking on the flavor of the fish. None of those advantages interest me. None of those advantages benefit me. I am very skeptical of the concept of better living through chemistry. 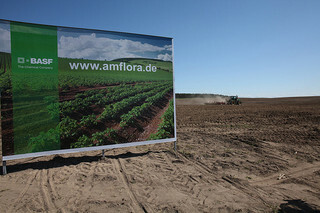 I distrust the food giants Cargill, Archer Daniels Midland, and companies like BASF. I actually am troubled that that Cargill and BASF are combining their efforts and hundreds of millions of dollars to genetically enhance the omega-3 content of canola oil. I am also concerned with Cargill’s Clear Valley heat stable omega-3 oil. The fragility of omega-3s is at the core of their benefit, they are, and should be, highly reactive compounds. I do not believe that these new fats will prove healthy. Remember, we were told transfats were better for us than butter and olive oil. Many ended up paying for believing those marketing promises with their health. Now they are marketing high oleic as preferable to EVOO. Are you ready to buy into those marketing promises? I am not. Unfortunately, the health food industry has. Today most of our “healthy” chips, crackers, cookies, deli salads, and more increasingly contain high oleic oils. Nutritionists at PCC assure us that the HOS in the deli salad is beneficial to you. I think it is time for us consumers to speak up. We should stick with our old tried and true foods. We should demand EVOO for the deli salads and, if a high heat oil is needed, maybe some heirloom sunflower oil for the fryer but no high oleics of any type. This entry was posted in chemicals, Food, Yikes and tagged Archer Daniels, BASF, canola, cargill, chemical mutagenesis, corn, corn oils, food, high heat oils, high oleic, hybridizing, northern climate, oleic corn, olive oil, restaurants, safflower, soybean, sunflower. Bookmark the permalink. Kathy do you have any brands for sunflower oil you like? I just read on my Spectrum Organic Sunflower Oil…it was high oleic. 😦 I mostly use EVOO but for high temps had been using the sunflower oil. As noted in my blog on cooking oils, I don’t think most of us need a high heat oil (see http://https://tqidiet.wordpress.com/2011/10/10/choosing-a-cooking-oil/) but if I were to use one, I'd likely get either Flora's organic sunflower oil or La Tourangelle's organic sunflower. Both of those companies seem quite concerned with carefully produced oils. High level of oleic fatty acids – makes it both heart-healthy AND versatile in the kitchen (ok for high temps). Sounds good to me!! After getting this comment from Nick, I contacted Tourangelle about their sunflower oil but got no answer back. So apparently I misread the description of the oil & it is a true high oleic oil rather than an oil naturally high in oleics. So, I would not use it. And now that I have corrected your typo and my error, Nick, perhaps you could correct your blog to report on the study finding that people would need to eat 150 lbs of broccoli a day to get the amount of erucic acid in canola oil? Thank you for this. Do you know if PCC has any sort of statement out on their use of these oils? I would be interested in knowing their take. They may have more but the one a student sent me that got me started on this research was: http://www.pccnaturalmarkets.com/nutrition/ask/high_heat_oils.html BTW, I will be responding separately to the nutritionist’s comments on erucic acid which I think are totally off. Nick Rose, a Nutritional Educator for PCC posted a long comment on this blog. For ease of following our dialogue, I have pasted his comments into my reply. My interspersed comments to Nick’s are bolded. I understand your skepticism in using “new oils” like high-oleic varieties of safflower/sunflower oil; however (in my humble opinion) these oils are not as bad as you make them out to be. Just to be clear: I see no proof of benefit and I am skeptical of unsubstantiated health claims. I did not make high oleic oils out to be bad, I just said their background is murky and the jury is out on their benefits. And until the jury is back, I think we should skip these oils. Second, high-oleic sunflower and safflower oils were not produced with “radiation and toxic chemicals” as you suggest here. High-oleic safflower oil was “discovered” in the US by a researcher at UC-Davis who spent decades traveling the world searching for biodiversity within the safflower family, and he eventually discovered a high-oleic safflower variety growing in India. This discovery was of a spontaneous mutation in the safflower plant that occurred naturally, causing the safflower to produce more oleic acid, and much less linoleic acid. He took this variety back to California, and bred this trait into safflower varieties that were already being produced in North America (using traditional breeding techniques, this was long before GMOs). Here is a link to the UC-Davis Dept of Plant Sciences page, where you can read about his contributions to safflower oil research: http://ucanr.org/sites/plantbreeding/files/151269.pdf I cannot speak to the history of high oleic corn and soybean oils, it is possible that they did use the methods of “radiation and toxic chemicals” which you referred to in your posting. (but we don’t carry those oils at PCC) For now, let’s focus on the two of three oils you recommend: High oleic-safflower and high oleic-sunflower. The fact is that scientists quickly (in a matter of decades) developed these oils to replace transfats. Mid-oleic sunflower oil entered the market in 1995. High-oleic safflower perhaps came 5 years earlier. These are very new foods. And high oleic oil hybrid work has involved, and continues to involve, the use of male sterilants. “In India, too, efforts are under way to develop a CGMS system in safﬂower . . . [these] are being developed by . . .mutagenesis with [the antibiotic] streptomycin B.” [Fn.3] In sunflower, the chemical benzotriazole is used for the same purpose. [Fn.4] I am not in any way expert in plant hybridizing but what is underway is often quite different that the pollen transfer of the “good old days.” Add to this the work using gene silencing as another way to create yet higher oleic seeds and the fact that these high oleic oils are deodorized as part of the process. I am sure many biologists out there will swear that none of this changes anything. Nonetheless, it simply is not the same as coming across a naturally occurring heirloom variety in the wild. Ultimately, my real concern is that we do not know all that may be changing as scientists doggedly pursue seeds that are disease tolerant and have a high MUFA and low PUFA content. We do not have any basis for concluding that these hybrids are better for us – or even as good for us – as our old food EVOO. Moreover, consumers are not demanding high oleic oils because they taste better. These oils are being marketed for shelf life, their heat tolerance, their bland taste, their ability to be grown on poor soil in difficult climates, and apparently because they can make a deli salad look more appetizing. Third, you state that “We do not even know that a sunflower seed oil with a higher MUFA content is better for us”…but a quick search in PubMed retrieves an article from the 2005 Journal of the American Dietetic Assoc with the title “A diet rich in high-oleic-acid sunflower oil favorably alters low-density lipoprotein cholesterol, triglycerides, and factor VII coagulant activity” http://www.ncbi.nlm.nih.gov/pubmed/15983523 confirming that the MUFA rich sunflower/safflower oils do offer similar cardio-protective benefits as olive oil. This study, using 15 healthy adults, concluded: “Substitution of foods rich in saturated fat with foods rich in high-oleic-acid sunﬂower oil and margarine has favorable outcomes on blood lipids and factor VIIc.” (Emphasis added.) That does not come close to proving that high oleic oils are as beneficial as olive oil. Back in 1975, I could have quoted a study of 33 healthy adults that showed that the body reacts to transfatty acids just as it does to naturally occurring cis fatty acids. [Fn. 5] I would have been dead wrong. As mentioned, I want my foods to have a long history of use in the human diet. If I am swayed to change how I eat based on research, I look for large, well-designed studies not funded by interested members of the food industry. Hopefully by now I have convinced you (and your readers) that high-oleic oils in the deli salads are beneficial to your health….and no, we don’t have a deep fryer in our kitchens, but if we did – why would we want to use an “heirloom sunflower oil for the fryer”??? because that heirloom variety would contain omega 6-rich PUFAs, which would oxidize easily at those high temps, therefore promoting inflammation in the body, and of course the linoleic acid would also promote additional inflammation. (but again, we don’t have a deep fryer at PCC) Traditionally safflower and sunflower were used along with peanut oil exactly because they are less heat sensitive. I referred to the oils as “heirloom” to distinguish them from high oleics or GM oils, not to suggest that they should be unrefined. I am glad PCC does not have a deep fat fryer – neither do I. There is little doubt we need to limit truly high heat cooking when no matter what fat is involved chemical changes occur that are not good for us. This question comes up frequently at PCC delis, and so we have tried making dishes such as the Emerald City Salad with only EVOO, but the EVOO congeals (turns solid) at room temperature, and is not very attractive in the deli case. Using a 50/50 mixture of EVOO with high-oleic safflower oil ensures that our shoppers can enjoy food that looks appealing and still provides healthy fats, in the form of MUFAs. Olive oil does not solidify at usual room temperatures; it does solidify when refrigerated. High oleic oils do not solidify at low temperatures, so might the deli preference be because pre-prepared foods are kept refrigerated? Regardless, I am not interested in adding a new form of fat to my diet because it makes deli salads look more attractive. I do agree with you that we should be skeptical of novel foods lacking traditional histories, and I also read Jo Robinson’s piece in the NYT about “breeding the nutrition out of our food” and I acknowledge that the varieties of fruits and vegetables in most produce departments today are inferior both nutritionally and deliciously when compared to heirloom varieties. But, as an advocate for anti-inflammatory eating, I am sure that you can see the nutritional advantage of cooking with seed oils rich in oleic acid (MUFA), rather than seed oils omega 6 rich PUFAs – right? No. I think the hybridized high oleic seed oils are likely just as inferior nutritionally (and definitely are inferior deliciously given that most are marketed as having no taste) as those new fruits and vegetables in most produce departments. I actually think the high oleics probably are worse given the intricacy of the pathways for using and digesting fats, and the problems that crop up when the body cannot fully metabolize fats, such as in the case of transfats. So, we are going to have to agree to disagree. I will continue recommending that consumers stick with EVOO as the dominant fat in their diet, that they refrain from mixing their EVOO with any high oleic oils, and actually avoid all of the high oleics working their way into a significant number of our processed “healthy” snack and deli foods. Fn.1 Bomgardener M. Replacing Transfats. Chemical & Engineering News 2012; 90:30-31. Fn. 3 Genetic resources, chromosome engineering, and crop improvement volume 4. (editor Ram J Singh.) CRC Press 2007, p. 183. Fn. 4 Tripathi SM, Singh KP (2013) Hybrid Seed Production in Helianthus annuus L. through Male Sterility Induced by Benzotriazole. 2:645 doi:10.4172/scientificreports.645. Fn. 5 Mattson FH, Hollenbach EJ, Kligman AM Effect of hydrogenated fat on the plasma cholesterol and triglyceride levels of man. Am J Clin Nutr 1975;28:726-731.
as well as for posting this discussion in an easy-to-follow form. “EVOO congeals (turns solid) at room temperature” part is absolutely striking. Nutritional Educators are getting more professional every day. Thank God I don`t eat out much. oopsie…type-O, thanks for catching this!! … I definitely meant to type “EVOO congeals (turns solid) at REFRIGERATED temperatures…” We obviously don’t keep our deli salads at ROOM temperatures in our PCC delis – the health dept certainly wouldn’t allow that!! How about let’s greatly reduce consumption of all oils. If you like the feel and taste of oil in your mouth, then pour something like Udo’s Oil onto your cooked food. Just a bit. I’m not convinced that extracted oils are a necessity (but am willing to be corrected). We can consume the whole seed in moderate quantity instead. It is true that humans can do just fine without processed oils and can get what they need from foods. Personally, I’d rather have a great olive oil or walnut oil drizzled on my food than Udo’s Oil but that is beside the point. Djo you mean unrefined walnut oil, or good-quality refined walnut oil? I seem unable to find the unrefined version in the stores here. I’ve heard that so long as low temperatures are maintained during the refining, and no chemicals or harsh methods are used, refined oils are ok from a health perspective. What is your opinion. Tk. you. “For instance most of the walnuts we use come from the orchard located next to the oil mill. We buy the crop and sundry the walnuts in the traditional way. Each batch of nut oil is unique and handcrafted following a 150 year tradition. First the nuts are hand roasted in cast iron kettles before being expeller-pressed. The oil is then lightly filtered and bottled. Our roasted nut oils are very flavorful with rich colors and more natural antioxidants than refined nut oils because many are removed during the refining process. This is silly and lacks any evidence against the use of high-oleic oils. As does your reply in favor of their use! Ad-hominem attacks (a company has done bad things, this is a product of the company, therefore this product must be a bad thing) and arguments from nature are logical fallacies. Not necessarily; we often look at past behavior to assess probable future behavior. High oleic sunflower oil has a lipid profile which surpasses EVOO and studies have shown it improves HDL/LDL ratios. High oleic oils do have a higher MUFA content but there are no studies I know of showing these oils to be better for us than EVOO. Again, I do not believe that more is always better. Hybridization is an extraordinarily common method of producing new plant varieties, and it does not follow that because some hybrids lack certain positive attributes of their parents that all hybrids must be inferior to their parents. Nor did I say that they do but studies do show that there are trade offs when foods are modified, trade offs that often comes at the expense of nutrition. Your article is pure speculation and you have presented no evidence why unrefined, organic, cold-pressed, high-oleic sunflower oil isn’t the most superior oil. And you have not presented any evidence that it is; but it is a new oil and one created to replace transfats. Of course, the same arguments were made for decades to promote the use of transfats that we now know caused at least 20,000 preventable deaths. Chucks comments are bolded italics; my reply in regular font is interspersed. In a nutshell, are you saying the High-Oleic sunflower/safflower is GMO or NOT GMO? Just use Organic Macadamia Nut Oil in it’s natural state. Macadamia nut oil is the PERFECT solution to ALL your worries! Technically the high oleic oils are not GM but the process of creating them is rather novel. Instead of EVOO I use light olive oil for its high smoke point. Does that make the light olive oil unhealthy compared to EVOO? Also, I make my own mayo because store-bought has 4% of the RDA for salt in each small portion. I had an attack of Congestive Heart Failure years ago which I keep well under control using Lasix and taking in very little salt-I keep track of all salt going into me and keep it to about 25-30 percent RDA. No problems in years and I take pains to keep it that way. Even light olive oil is too strong tasting when used alone in the mayo-I tried mixing light olive oil with high oleic safflower 50/50 and it tasted good, but now your article has me worried. What kind of oil can I use besides EVOO to make a light tasting, no salt mayo? I’m not remotely interested in GMO stuff, even Spectrum “organic” canola oil uses gene splicing or something like it which rules it out for me. Any suggestions would be appreciated. I personally do not like light olive oil. It is derived from olive oil that is not worthy of the extra virgin label and then is refined further using either mechanical, thermal or chemical means so that it may once again be fit for consumption. If you read my post on cooking oils, you’ll see that I do not think we as a rule need that high smoke point. And, if you are concerned about heart health, you should not be cooking at temperatures where you need to worry about that. I also do not find that a good quality EVOO is too strong to make a good mayonnaise from. There are many resources on the web that explain the different olives and flavors of olive oil available. I suggest you work on exploring them – I am sure you can find one you like. And perhaps work on varying the amount of lemon and spices in your mayonnaise as well. I look at this from the standpoint of harm reduction. There is a growing body of evidence that oils that are high in PUFA-6–like soybean, corn and regular sunflower oil–promote inflammation and diseases associated with inflammation including CVD. We did not consume these oils in large quantities until about 50 years ago. In the scheme of things, therefore, high-oleic sunflower oil would seem to be a safer choice if one has to use inherently low-quality seed oils, which are a product of industrialization. The better alternative is, as you note, EVOO, but that is not cost-effective or neutral tasting enough for many uses. Personally, I use only EVOO, butter and EV coconut oil. I can tell you that the anecdotal evidence from my n=1 experience is excellent–great CV fitness, no chronic disease, excellent body composition and abundant good health. Touch wood. So, to reiterate, the documented (in the literature) problems associated with high PUFA-6 oils are best avoided; high-oleic sunflower oil is very likely much safer than the regular kind. Overall, I think we actually agree. However, in order to do a harm reduction analysis, we need information on the pros and cons. The problem with engineered high oleic oils is that we do not know what changes have resulted as the higher oleic acid content is created. We do know that transfats that once seemed so beneficial actually changed the amounts of oxysterols formed and absorbed in the human body but it took almost half a century to learn that. The fatty acid profile of olive oil appears beneficial but we cannot conclude based on that fact alone that a modified soy or canola oil where genes for PUFA have been quieted and genes for oleic acid production have been augmented are good for us. All we really know is that those changes improve the fat’s shelf life. Sunflower oil, in a natural, unmanipulated form, is a high omega 6 oil. Omega 6s are an essential part of our diet. Our problem is not that our diet includes 6s; it is that it includes too many and too few omega 3s. Rather than switch to transfat replacements such as high oleic oils, simply increase the amount of 3s when 6s are included. That said: Sunflower oil should not have a heavy presence in the diet; it only does in those indulging in too many processed foods. Finally, what is the harm reduction when delis like PCC’s (a Washington coop) dilutes their EVOO with high oleic oils in their salads? Traditionally, EVOO worked perfectly all by itself in dressings. Excess omega 3 is also a problem because it is oxidatively unstable. Just like Omega 6, both more easily form lipid endoperoxides in the body and increase oxidative stress. the safer fats are monounsaturated, MCT’s and some forms of saturated fat. True the Omega 3 and omega 6 ratio need to be balance, but the amount of them consumed should be kept at a minimum or beneficial level so as not to enhance free radical formation and inflammation, On the other hand oleic is not known to adversely affect the ratio of omega 3 and is stable. High oleic is actually better for you, it causes less inflammation and free radicals than Omega 6 (linoleic acid) which is why olive oil, also rich in oleic acid, reduces risk of heart disease along with its polyphenols). “Along with its polyphenols” is a gross understatement. The unique antioxidants in EVOO are what set it apart and studies increasingly show they, not the oleic oil content is what is so beneficial. Oleic acid also protects elastin in arteries and the skin. That’s in dispute. Ever read any of Esselstyn’s studies? She’s also wrong on fruits being lower in polyphenols if they are more shelf stable- its the other way around the higher the catechins and other polyphenols the more natural antioxidants it has and longer keeping quality. Here I have no idea what you are talking about. I don’t recall discussing the shelf stability of fruit. Certainly not in the context of high oleic oils. Excess omega 3 is also a problem because it is oxidatively unstable. Just like Omega 6, both more easily form lipid endoperoxides in the body and increase oxidative stress. the safer fats are monounsaturated, MCT’s and some forms of saturated fat. I’m afraid there is no science to back you up here. Yes, 3s and 6s are highly reactive but they are essential. Other fats may have a longer shelf life but are also oxidized when heated or frozen, and are not essential. True the Omega 3 and omega 6 ratio need to be balance, but the amount of them consumed should be kept at a minimum or beneficial level so as not to enhance free radical formation and inflammation,On the other hand oleic is not known to adversely affect the ratio of omega 3 and is stable. You are mixing apples and oranges here. The fact that oleic acid does not affect the ratio of omega 3 [to what???] is not relevant to whether manipulating plants to make more oleic acid is better for you than an antioxidant-rich EVOO. And nothing says we should keep essential fats found in our foods to a minimum. Really interesting discussion. I loved the original article and agree with everything it says. I’m not a nutritionist so I can’t back up my thoughts with lots of facts and science, but from the numerous encounters with top nutritionists and from all the information I’ve gathered over the last thirteen years there seems to big a big consensus amongst these people who are all at the top of their field in natural nutrition, macrobiotics, Ayurveda and naturopathy, as well as many other holistic therapists. The consensus is that organic olive oil (only high quality cold pressed oil) is beneficial for us, but that it should never be heated. This is because it looses much of its nutritional value, but much more importantly it becomes toxic. The only oils to use for cooking/hearing are coconut oil (a fantastic hugely healthful oil which can be heated to very high temperatures), and organic (grass-fed) butter or ghee. Those are the only oils I use. It does my head in how many ‘health’ products contain sunflower oil, it is not a natural or healthy product in any way, and another big issue is that it very easily turns rancid. Just the other day an Auyvedic practitioner was telling me we all need to try to avoid and cut out completely all sunflower oil from our diets. I only hope the food industry and rest of the works catch on soon, here’s hoping eh…. Thanks for the great informative article and I hope your message gets across and people eventually will come round to the truth behind all this! Jo, I think both you and Lisa are going to be surprised by what the EVOO research shows. I will occasionally use coconut oil for flavor but much prefer EVOO in most cooking. Sunflower oil is high in omega 6s and needs to be balanced appropriately but it is not a terrible oil. However, its presence in processed food is a different story; those foods have usually be heated too much and the oil is refined, which means transfats and other oxidized fats likely are present. So we agree that it as a rule is in products that are not natural nor healthy. Yes, a rose is a rose is a rose. Equally, oleic acid is oleic acid is oleic acid, no matter what. That does not change the fact that, by definition, zero transfats can mean that there is up to 0.5 grams of transfats per serving. So, transfats are generated in the refining of high oleic oils even though oleic oil is oleic oil is oleic oil. EVOO truly has zero transfats. In addition it is quite clear that the health benefits of EVOO are not only due to the presence of oleic oil but to antioxidants and anti-inflammatory compounds in evoo (see my latest blog “extra virgin olive or high oleic oil ). High oleic oils do not have these beneficial compounds to begin with and the heavy refining involved in their creation would have destroyed them, had they been there. I’ll soon be writing a blog on research showing that high oleic oils are not comparable, let alone better, than EVOO. In the mean time: Sure high oleic oils are better than hydrogenated transfats but that is not the standard you should be using. They are not actually good for you. I know this is an old blog post but what about something like Simply Nature (from Aldi’s) High Oleic Sunflower oil, organic, unrefined, first cold-pressed? For those who are trying to maximize omega 3’s and monounsaturated fats relative to omega 6’s, especially for anti inflammation purposes, isn’t the total amount of omega 6 in the oil super important? I have, for the omega 6 percentages of oils; macadeamia 1.34%, high oleic sunflower 3.6%, olive 9.8%, avocado 12.5%, flax seed 12.7%, walnut 52.9%. As far as the omega 3 content is concerned, since ALA is very poorly converted to EPA and DHA, how is it going to compete to any appreciable degree with the enzymes that are responsible for converting LA into the highly inflammatory Arachidonic Acid? Isn’t it most important to go after foods that are high in EPA and DHA, to offset the LA (omega 6), and keep the balance anti inflammatory? Sorry for the slow reply, just saw this. I’m not finding much in the way of detail on this particular oil, but let’s assume it is an unrefined oil pressed carefully from sunflower seed naturally high in oleic acid. By its nature, sunflower oil is a high omega 6 oil and this would still be the case with this oil. Most sites list high oleic sunflower oil as having an omega 6: omega 3 ratio of about 7860:419. Most Americans have a 20:1 6:3 ratio with 6s having an inflammatory effect. Instead, our 6:3 ratio should be balanced, 5:1-1:1. And high omega 6 vegetable oils, such as sunflower oil, are a big part of the imbalance and a big cause of inflammation. The metabolism of essential fats is very complex and while it is true that we elongate ALA slowly, science is pretty clear at this point that, in those with a good 6:3 ratio, the body will make all the DHA and EPA needed. Given the reactivity of EPA and especially DHA, they are not fats where more is necessarily better. Instead of consuming a lot of high omega 6 foods and then trying to balance that with more LC-PUFA foods, you would be far better off simply cutting back on your 6s, beginning with cutting out the sunflower oil. As well, there is pretty good science at this point that in those with a poor 6:3 ratio, LDL begins to contain oxidized 6s that are strongly implicated in atherosclerosis. Again the recommended solution is to cut back on 6s. Those of us who just can’t stand the taste of unrefined olive oil – what do we do? I think you should begin by exploring the many varieties of olive oil. Start by looking for oils with a delicate flavor: http://lettherebebite.com/in-store-guide/olive-oil/ This one of many sites that gives a good summary of different grades and types of olive oil. They identify varieties of olives that have a delicate flavor. Then I’d look for a U.S. oil made from one of those olives that has been certified by CCOC. The website for American certification is here: http://www.cooc.com/#” and click on “seal certifed” in the side bar. By going to the various websites of olive growers you can read about their oils. This can be overwhelming but fun. Or go to one of the many places that offer olive oil tastings and tell them what you need. I also recommend you read the book “Extra Virginity” It is quite possible that the olive oils you dislike aren’t even olive oil. I am no expert but from what I have gathered, good quality EVOO contains polyphenols which cause a hermetic stress response, good for you in small doses just like exercise. Although EVOO is somewhat low in PUFA (2g), a high percentage of those PUFAs are omega 3, highly reactive as mentioned earlier. The same goes for grassfed butter so I try not to heat it much. I save the EVOO for salads or take EVOO shots (weight gain diet). Therefore I would rather cook with organic high oleic sunflower oil because they are now as low as 1 gram of PUFA. I was under the impression that the organic sunflower oil became very high oleic from artificial selection which does not intuitively concern me. It would be interesting to find out exactly how much trans fat actually makes it into a quality organic high oleic sunflower oil. Macadamia oil is even lower in PUFA naturally (.5gr). Higher cost but offers a unique flavor.. Coconut oil is a great option for baking and available in organic no-flavor for frying. Hopefully we are frying veggies or chicken and not fried dough! You are only part right. Yes, omega 3 fats are highly reactive and isolated omega 3s definitely should not be exposed to heat or light to prevent rancidity. But take fatty fish, with very high amounts of omega 3s: We usually heat our fish but without damaging them or turning them into damaging foods. That’s because other compounds in the fish protect those omega 3s. Same thing applies to baking with ground flax seed, another rich source of omega 3s. Olive oil is especially high in antioxidants that protects its 3s, which it does not have all that many of. Olive oil, heated or not, is not especially prone to rancidity. And as my recent blog on olive oil shows, those antioxidants are responsible for its many health benefits. As they create high oleic oils, they destroy the antioxidants in those oils, oils that as a rule lacked the unique antioxidants in olive oil. That’s why olive oil showed benefits where sunflower oil did not. Oils are very complicated, as are the role 3s and 6s play in our body. You need those essential fats, so avoiding them makes little sense. Instead you need to get them in balance, something that won’t happen if you use much in the way of high omega 6 oils like sunflower seed oil. Real, untampered with coconut oil is not all that heat tolerant either. So check out my other blogs on cooking oils; they might just change your mind. Good info, I will definitely look into it further. By painstakingly eliminating all processed food I have reduced my refined oil/omega 6 intake and at the same time increased my overall fat intake. I used to take pharmaceutical grade fish oil but I stopped based on concerns raised by prof Brian Peskin. For now I get my 3s from grassfed steak/butter, free range eggs and EVOO. I agree that that standard sunflower oil (very high omega 6) is a bad idea for frying so I use the high omega 9 version (for light frying veggies and eggs). But if there is a better option for frying I am very open minded. Jessie added: The oil I am referring to is USDA certified organic so no hexane extraction. It claims “100% Mechanically (Expeller) Pressed Naturally Refined High Oleic Organic Sunflower Oil.” My understanding is that the oil is made high oleic from selection, not from chemical refining. It has only 1 gram of PUFA, half as much as EVOO. Also, it is not expensive so there is little point in using chemically extracted and refined high oleic oils, which is what was used in the study quoted, I expect. All that said, I am intrigued by the idea that EVOO enjoys some extra protection from antioxidants and I am glad to hear that. My organic EVOO cost the same as the organic sunflower oil so it will be great to get to the bottom of this in the name of health. Kathys Response: I also find Peskin’s work interesting although I wish he were not so heavily into marketing products. I tend to view meats and eggs as a neutral source of essential fats. Cholesterol has the ability to hamper our desaturase enzymes and I’ve seen studies indicating a higher degree of rancidity in animal 3s. Instead I recommend leafy greens, herbs, brassicals, berries, walnut oil, and wild fish as sources of 3s. But I think you are not fully taking into account the degree of refining involved in the oils you are using. Olive oil is unrefined, has a neutral 6:3 profile, and enough antioxidants to protect our food from heat damage. The studies quoted in my post on olive oil show it having much more positive effects than the refined, “high heat” oil you are choosing to use. There is much more to a healthy use of fats than you’ll get from studies on what happens when you heat isolated essential 3s and 6s. Instead of throwing away all that wild portulaca growing in the garden, people should consider eating it. I do, and it don’t taste all that hot, but with some lemon juice, it’s doable. We can learn to like it. I recommend eating it, it was said to be Gandhi’s favorite vegetable, and I like it’s flavor. Authority nutrition lists the nutrient content of 100 grams of olive oil as below, so the 6:3 balance appears not to be neutral. Why do you think it is? Monounsaturated fat: 73% (mostly 18 carbon long oleic acid). Thanks for pointing out this fact, I appreciate the correction. EVOO is an omega 6 dominant oil which needs to be considered when balancing 6:3 dietary intake. EVOO is still preferable to other fats because it is one rich in valuable antioxidants and hence less subject to oxidation than most other oils – especially refined and deodorized oils. I’m glad you like my blog and I’m glad you now are avoiding poor quality fats but am curious why you don’t consider white rice processed? Just want to let you know that heirloom sunflower oil is decidedly NOT suitable for deep frying. Neither is any other oil high in polyunsaturates. They are too unstable at frying temperatures, and many toxic compounds are created when they are so used. In this case, heirloom is absolutely not better! You are right to be suspicious of any offerings by Big Ag! Whether the new, high oleic hybrids prove to be safe does depend on what other genes may have been damaged or changed in the process, but most drastic changes would in some way affect plant vigor or viability, so the chances of too much change having been done is pretty small. My guess is that these variants are generally safe, and they are probably going to prove to be vastly healthier than their high polyunsaturated cousins, judging from what we know of the damage caused by those readily-oxidized, pro-inflammatory omega 6 oils. First, I agree any oil rich in PUFA is not going to be suitable for high heat. However, virtually all oils on the shelf, with the exception of EVOO, have been deodorized in the refining process. This generates trans fats while raising their smoke point and improving their shelf life. ALL high oleic oils are heavily refined, deodorized, and come with trans fats. Second, the benefits of EVOO increasingly are shown to come from its antioxidant compounds, which high oleic oils lack. I do not consider them healthier than other refined, deodorized oil choices. As well, quieting genes may not affect plant vigor or viability but could still cause other untoward changes in the plant. So I disagree that these new oils are going to prove “vastly healthier” than other choices. And finally, while there are not a multitude of studies yet, high oleics are not showing the health benefits that EVOO seems to offer. Good point that precautionary principle may be warranted due to lack of evolutionary precedence. I think you missed a positive of the High-oleic varieties: fatty acids stable in high heat. Agree high O-3 canola oil isn’t a good idea. Heirloom sunflower oil probably isn’t a good idea though. There’s just as little evolutionary precedence for refined seed oils and we know that O-6 can’t handle the heat. Polyunsaturated fatty acids cannot be stable at high heat, that is chemically impossible. High oleic oils are stable at high heat because they consist mostly of oleic acid, which is more stable, and because they are heavily refined & deodorized which breaks down the very fragile ALAs and LAs they contain, generating trans fats in the process. They, however, lack the antioxidants that make EVOO a good cooking oil and studies show do not provide the health benefits that EVOO does. Certainly agree that there is little precedence for refined seed oils, including the HO varieties. A very lop-sided article on High Oleic Sunflower Oil which is a simple, natural seed oil rich in monounsaturated fats. It is totally non-GM, Non-hydrogenated and is not some masterplan of big business. It is more expensive that regular vegetable oils and is meant to replace unhealthy saturated fats like Beef Tallow, Palm Oil, Lard and cheap soya blended oils. So it is not some cheap substitute! No one oil is ever going to solve everything because you eat scores of different oils in your life. If you only ate one oil it should be High Oleic Sunflower oil. and by the way, Coconut oil is a big old saturated fat and is bad for your arteries – period! Salas, J. Sunflower: Chemistry, Production, Processing, and Utilization. P. 33. Second, the industry has done and is doing an incredible amount of work on creating a variety of high oleic oils using gene silencing. All high oleic oils are heavily refined and the research shows that trans fats are generated in that process. Certainly, HOSO has fewer trans fats than fully hydrogenated fats but they are always present. Many of us are not looking for a replacement of truly poor quality fats, we are looking for truly healthy fats. HOSO is not one of those. Moreover, some researchers now warn that the amount of trans fats per serving can add up to troublesome levels given the prevalence of these fats in so many foods eaten at restaurants and in processed foods. At this point many, many studies show that EVOO (due to its high antioxidant content) protects food from free radical formation during cooking. It was rated higher than sunflower oil for deep fat frying in one study. Another study found that marinating meat in EVOO lowered the amount of carcinogenic heterocyclic amines formed during grilling. I have written several blog posts on the research on EVOO and cooking that you might be interested in reading. Finally, if you only at one oil, it should be EVOO because research more and more shows its unique antioxidants (which HOSO lacks) provide real health benefits. And EVOO is never deodorized and does not contain trans fats. So are there oils that are “naturally” high olé ac or do they always come from a process? There is reportedly a strain of sunflower oil that was high in oleic acid. How that variety was created (mutagenesis, etc.) is vague. Today, the varieties in use are either created through mutagenesis (a far from natural process) or gene silencing. Other types of high oleics are gene silenced. And then, all of these are refined and deodorized, which generates trans fats. So, in my opinion, a type of oil to be avoided. In reading about oleic oil containing oleic acid I stumbled across on Wikipedia describing the acid as used in sheep to induce lung damage for research. If this is the case, how would it affect a person who has lung problems? Am I reading this wrong. I have COPD and don’t smoke. While reading the back of my coffee creamer it clearly states it has it. I’ve used this brand for years. I’m thinking I should avoid it. Hi Teresa: I think the studies you are referring to involve infusing oleic acid intravenously or injected with the intent of creating pulmonary edema for experimental reasons. Oleic acid is simply a very common form of fat and the dominant fat in extra virgin olive oil. Even sheep do fine ingesting it. The problem with high oleic oils is not that they contain oleic acid, it is that they are manipulated to contain large amounts, lack antioxidants, and are deodorized which creates trans fats which are damaging. Keep up the good work Kathy and thankyou. Soybean breeding for improved oil quality by selection of high oleic low linolenic lines using single neucleotide polymorphisms to identify mutant FAD2-1A, FAD2-1B, FAD3A and FAD3C alleles. So you might say that I’m a bit of an expert IB there’s scary high oleic oils. Just so you know, these FAD mutations were all NATURALLY occuring genetic events, so your “cutting edge hybridizing techniques” was produced in my HOLL lines by me, rubbing pollin in the stima of a plant. Really cutting edge stuff, granted I did have to check that the progeny of my soybean babies received the gene, but all I did was run the beans through an NIRS and a GC for that. The omega-3 fatty acid desaturase enzyme is derived from linolenic fatty acid (18:3) and it reduces blood pressure, alleviates inflammation, reduces symptoms if ADHD. And yes, we are reducing linolenic acid produced in ther oil to make this oil more stable. But we are not eliminating these important FAD3 genes because the the plant needs linolenic acid for several other useful things the plant does, like produce jasmonic acid. Omega-3’s are found in most of your processed and fast foods, so most of us are getting pleanty of it. Allison: I am a soybean breeder. My thesis was as follows “Soybean breeding for improved oil quality by selection of high oleic low linolenic lines using single neucleotide polymorphisms to identify mutant FAD2-1A, FAD2-1B, FAD3A and FAD3C alleles”. So you might say that I’m a bit of an expert . . . Just so you know, these FAD mutations were all NATURALLY occurring genetic events, so your “cutting edge hybridizing techniques” was produced in my HOLL lines by me, rubbing pollin in the stima of a plant. Really cutting edge stuff, granted I did have to check that the progeny of my soybean babies received the gene, but all I did was run the beans through an NIRS and a GC for that. Allison: The omega-3 fatty acid desaturase enzyme is derived from linolenic fatty acid (18:3) and it reduces blood pressure, alleviates inflammation, reduces symptoms if ADHD. Kathy’s Reply: This is wrong. Omega 3 fatty acids are associated with beneficial health effects. Our body uses desaturase enzymes to elongate LNA (18:3) and LA (18:2) to long-chain fatty acids. The desaturase enzymes are not derived from the fats and do not confer health benefits directly. Allison: And yes, we are reducing linolenic acid produced in the oil to make this oil more stable. But we are not eliminating these important FAD3 genes because the the plant needs linolenic acid for several other useful things the plant does, like produce jasmonic acid. Omega-3’s are found in most of your processed and fast foods, so most of us are getting plenty of it. Kathy’s Reply: Here you are dead wrong. Most Americans have a terrible ratio of 6:3 fatty acids and are deficient in omega 3s. A simple pub med search will show that. As well, eating fast food is not a source of healthy fats. The polyunsaturated fats are reduced in high oleic oils to increase shelf life. The studies so far do not show high oleic oils to have the health benefits of a good quality EVOO, most likely because of the antioxidant content in the latter, antioxidants that are destroyed in the processing of the high oleic oils.